Famous actor Brad Pitt plans on spending more time with his children. A new report has claimed that the popular actor will be putting his acting career on hold with the main purpose become a better father to his six children. The new rumor emerged after it has been claimed that Angelina has become more open to the idea of sharing the custody of the children with her former husband. Previously, it has been claimed that Brad and Angelina’s marriage ended because of the actor’s serious drinking problem. This allegedly determined the famous actress to file for divorce back in September, 2016. 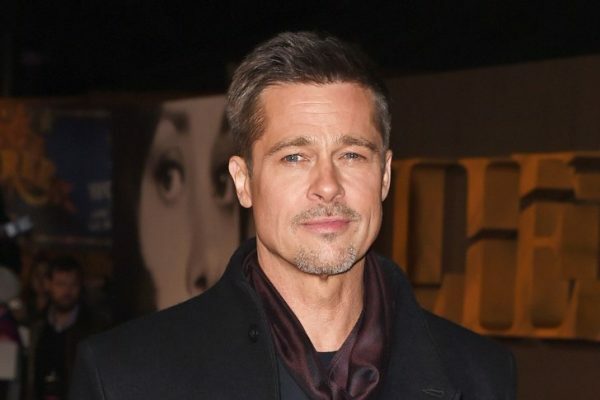 Brad has confessed during a recent interview with GQ that he did dealt with a drinking issue, but he managed to overcome it and has been sober for months. The famous actor also said that he underwent therapy and has stayed on the right path. Sources said that despite the divorce, Angelina wants Brad to still be a part of the children’s life and she still wants him to be involved. And Brad seems determined to become better for the children, for Angelina, but also for himself. Hollywood Life revealed that the actor believes that he has hurt his family with his drinking problem, but has realized that he needed to change. Some insiders also claimed that Angelina and Brad have managed to get to a better place compared to how things were when the divorce was initially filed. Furthermore, the two allegedly plan to remain friends after all. 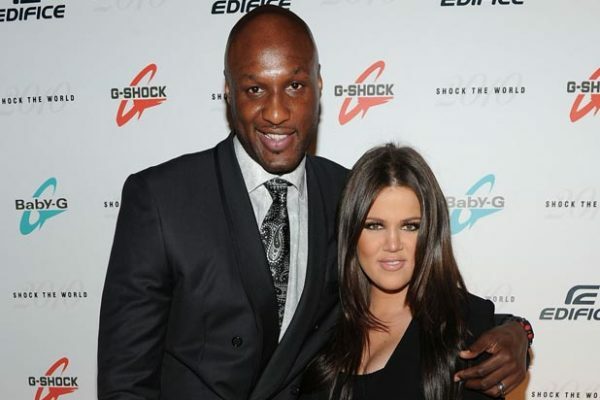 Lamar Odom and Khloe Kardashian were a married couple for quite some time, but their marriage ended a few years back. After the split, Lamar seemed to regret the fact that he and Khloe were no longer married. Furthermore, for quite some time it had been claimed that Lamar wanted to get back with his former wife. Well, now Lamar’s daughter has actually claimed that her father’s relationship with Khloe was in fact toxic. Destiny Odom said in an interview with People Entertainment Network Show that Lamar was actually addicted to the whole attention he received during the time when he and the Keeping Up with the Kardashians star were married. “I tried for my dad,” she said. “I wouldn’t say it was a matter of my dad loving Khloe more than me. I think that my dad has an addictive personality, so he was addicted to the attention he got with Khloe more than me. It was a very toxic relationship,” she went on to add. Destiny is the daughter of Lamar Odom and Liza Morales. She is 18 years old now. Destiny also claimed that the marriage was not the most beneficial thing for her, either. In fact she said that when her father married Khloe she actually became the target of a lot of bulling in school. “The bullying started when he married Khloe. There were regular snide comments at school. And when his addiction became public, then it became a social media thing. Even people that I thought were my friends were saying stuff on social media. It was humiliating,” she claimed. As imagined, things were not simple for Destiny when her father overdosed and was hospitalized after being found nearly dead in a brothel. She claimed that she told him that she was no longer going to speak to him. Destiny said that her father is doing much better now and he completely understands the pain he had caused. “When your parent’s an addict and they get clean, it’s like a whole new world. A whole new person,” she concluded. Prince Harry and Meghan Markle are currently dating and the romance seems to be evolving fast. In the past few weeks, a lot of rumors have claimed that the two stars plan on getting married and that Harry might pop the question really soon. As expected, there was no official confirmation from the famous pair, so there is no wonder that the rumors keep on continuing. The latest reports have actually said that Prince Harry plans on proposing to Meghan in South Africa in the near future. 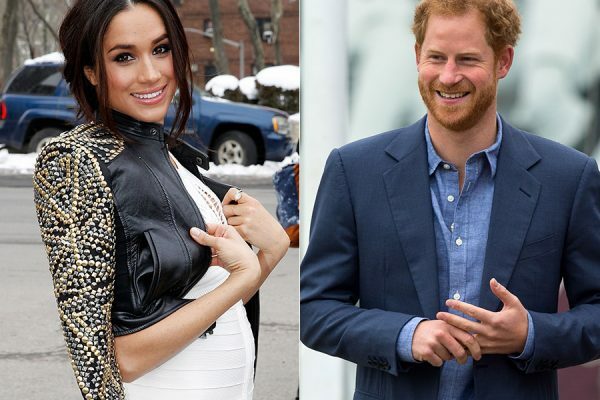 Initially, Harry wanted the proposal to take place later this year, but apparently he cannot wait until Meghan will become his wife, so he decided to have the trip sooner and ask the big question. It just seems that Harry is anxious to propose to his famous girlfriend. The trip was initially supposed to take place in October. “Harry is so smitten with Meghan that there’s a fair chance he could get caught up in the romance of it all and pop the question,” an insider said. “Africa means everything to Harry. It is where he and [Prince] William were taken by their father to escape after their mother’s death,” the same source added. The trip is expected to be quite exciting for Meghan, as Harry has apparently scheduled a romantic safari for them. They will also spend some time with Harry’s friends in South Africa. Apparently, the prince has a strong interest in tribal beliefs and he wants to share everything with his girlfriend. This has allegedly helped him a lot to deal with the pain of losing his mother, Princess Diana. “He really feels he has found a soulmate in Meghan, and both have even said they would love to live on and run a wildlife safari reserve,” the source also said. The insider claimed that Meghan and Harry are searching for a country house together and want to have a normal relaxed life. None of these rumors have been addressed until now. Khloe Kardashian and Tristan Thompson Expecting a Child? According to the latest rumors, the relationship between Khloe Kardashian and Tristan Thompson is evolving very fast. The rumors actually claim that the two stars are going to become parents for the first time. So, it has been said that Khloe is pregnant with her first child. The same report, first shared by Star magazine, said that Khloe is very happy because she wanted to be a mom and start a family. It has previously been claimed that the star has been expressing her wish to become a mother and has been pushing her boyfriend to try to have a baby. The pregnancy rumors emerged as Star reported that the Kardashian sisters went to wine-tasting a couple of weeks ago, but Khloe, although she accompanied them, refused to drink alcohol. 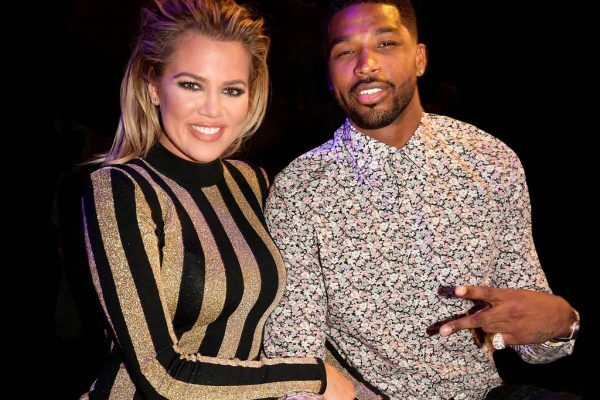 Star also claimed that Khloe realized that Tristan is the perfect man to father her child when she saw the great connection he has with his son Prince, from a previous relationship. Apparently, Tristan is a great father and Khloe really appreciates that about him. “Khloe wasn’t exactly thrilled when the news [that Jordan was pregnant with Tristan’s child] broke, but watching Tristan with his son changed everything,” an insider said according to Star. “All Khloe’s ever wanted was to get married and start a family,” the same source went on to add. The pregnancy rumor comes after other sources claimed that Tristan was planning on asking Khloe to be his wife. These reports said that the star wanted to propose to her as soon as possible. “Tristan promises big things if they win the championship! He is going to take all that focus and put it squarely on Khloe,” a source said, adding that Tristan wants to take Khloe on a romantic vacation to Hawaii or the Caribbean. Most likely, this is where the proposal will take place. Well, for the moment there is no official comment from Khloe or Tristan on these claims, so it is yet to see if any of these rumors turn out being true. It seems that Kim Kardashian has not given up the dream of becoming a mom once again. According to a new interview, the Keeping Up with the Kardashians star has actually been begging her sister Khloe to be her surrogate for her third baby. Apparently, Kim has already asked Khloe to be her surrogate, but it seems that she did not receive a positive answer from her sister until now. Kim wants to have a third child, but unfortunately for the reality show star she is unable to carry another baby due to her health issues. She has two children with husband Kanye West, North and Saint. Kim said during an interview on Watch What Happens Live with Andy Cohen that she would like her sister to carry her child. Kim previously underwent a surgery to repair her uterus in order to be able to have another child, but unfortunately for her, the surgery did not work. Since then, Kim claimed that she was thinking about the possibility of having another child with the help of a surrogate, but she finally said that she needed more time to make a decision. Now, it seems that Kim is sure that she wants a surrogate, but she wants her sister Khloe to do it. It is yet unclear if Khloe is considering this or not, as Kim revealed nothing else on this matter. During her interview, Kim also talked about her dispute with Taylor Swift and was asked if it hurt her sister Kendall’s relationship with the singer. Kim claimed that she does not think that Kendall was part of Taylor’s squad, so she was most likely not impacted in any way. Kim also talked about her first marriage, to Kris Humphries, which actually lasted only 72 days. She said that she realized that things were not going to work during their honeymoon. She said that she wanted to get married at that point, but it just did not work out. In other news, a new report about Kim claimed that the star was jealous of her older sister, Kourtney. “Kim’s extremely jealous of Kourtney’s bikini body, don’t get me wrong she’s proud of her, but she still can’t help feel like she’s losing some sort of competition,” an insider claimed according to Hollywood Life. Famous singer Mariah Carey and her ex-husband seem to be getting along so well that the latest rumors are indicating that the two plan on getting married once again. So, it has been said that Mariah and Nick plan on remarrying sometime this summer. The two famous stars have two children together and since their split they seemed to have remained in very good terms. Mariah and Nick were constantly spotted spending time together and it appears that they are doing very well when it comes to dividing their responsibilities and co-parenting their children. Actually, they appear to be doing it so well that the rumors are saying that Nick and Mariah plan on getting back together. The news was reported by Life & Style, which claimed that Mariah and Nick actually plan to have a big summer wedding. The same report indicated that the ceremony will be taking place in France or Italy and the pair plans on inviting a lot of famous people. “Mariah will have a party in St. Tropez, France, or Italy’s Amalfi coast with 500 guests, including Beyonce and Elton John. They’ll have $1,000-a-bottle Angel champagne, plus a 5-foot cake dusted in real gold,” one insider said according to the celebrity site. The same source went on to say that Mariah will not hire someone to perform at the event, but plans on doing it herself. She surely wants to be the main star. “Mariah’s singing at her wedding. She’d never hide another star to outshine her,” the source explained. The insider also said that the singer is looking for a unique dress and might actually get a diamond-encrusted wedding gown. The source also said that the two stars feel that they belong together and they think that they should remarry. The news emerged after Nick and Mariah were spotted at the Kids’ Choice Awards together. Mariah has recently this month ended her relationship to her backup dancer, Bryan Tanaka. Since her divorce from Nick, the famous singer also dated casino mogul James Packer. The two were engaged, but allegedly things ended because of Bryan. Mariah and Nick have not confirmed the latest rumors. Some tragic news were revealed over the weekend. 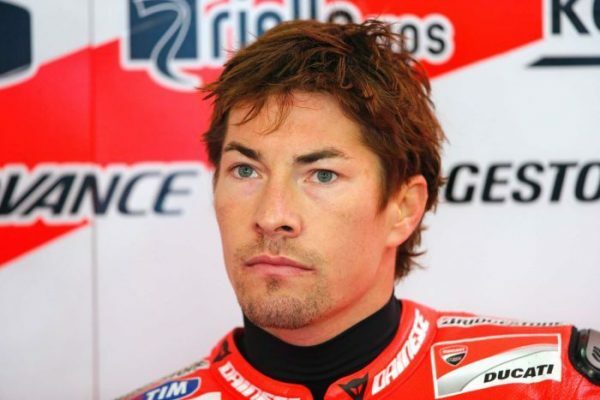 Nicky Hayden passed away after an accident while cycling in Italy. The former MotoGP world champion was 35 years old. At the time of the accident, Nicky was training along the Rimini coastline. Nicky did not die immediately during the impact, but passed away about five days after the road crash. The incident occurred last Wednesday, when Nicky was cycling in Italy and a car collided with his bicycle. The accident caused him severe head and chest injuries. He was immediately hospitalized and stayed under invasive care at the Maurizio Bufalini Hospital in Cesena. “The medical team has verified the death of the patient Nicholas Patrick Hayden, who has been undergoing care since last Wednesday 17 May in the intensive care unit of the Bufalini Hospital in Cesena following a very serious polytrauma which occurred the same day,” an official statement said. The star was widely known as a World Superbike Championship rider and a 2006 MotoGP world champion. At the time of the accident he was actually training after his participation in the World Superbike Championship race at Imola. The star was praised by Valentino Rossi, whom Hayden competed against in MotoGP. After the news of the accident were revealed, Rossi described Nicky as “one of the best friends I’ve ever had in the paddock.” Hayden beat Rossi in 2006 and took the championship in MotoGP, but that was his only championship. He remained in MotoGP races until 2015. In 2016, he started attending the World Superbike Championship. Famous singer Beyonce is pregnant with twins and it seems that the star cannot wait to become a mom once again. According to a new report, Beyonce is “super excited” to be a mom for the second time. However, the star is also a “little terrified” for the twin’s arrival. Beyonce is already a mom to daughter Blue Ivy and she is currently pregnant with twins. The star allegedly knows that welcoming twins is going to be exhausting for her, but she still wants to be a “hands-on mom” because she is a “high energy person.” A new report from Hollywood Life said that Beyonce is quite nervous about taking care of two newborns at the same time and she wants to be very much involved, despite having a very big staff to help her. 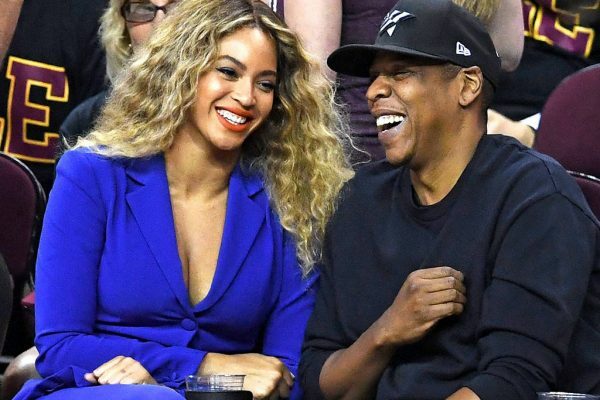 Both Beyonce and Jay-Z have been very private about the pregnancy and actually the two famous singers have always managed to keep their personal life quite private. Still, this does not mean that there are not a series of rumors and speculation on talking about the two and the moment when Beyonce might give birth. Some reports claimed that most likely the famous singer will give birth next month. Sources claimed that Beyonce does not have a very clear strategy on how she plans on losing weight, but she wants to do the same things she did after the birth of Blue Ivy. Without a doubt, Beyonce showed to be in a perfect body shape after welcoming her first child. Some reports claimed that Beyonce plans on giving birth naturally, but Jay-Z wants to convince her to get a C-section to avoid the pain. Still, he is on board with anything that his wife decides and is supporting her.